The German capital is at the fore-front of the vegan movement in Europe, and is seeing a rise in ‘flexitarians’ – part-time vegans. LONG THE EUROPEAN capital of techno-driven nightlife, hipsterdom and low-cost party weekends, Berlin is adding another string to its bow as a vegan haven. The city has an estimated 80,000 vegans – around 4% of Berlin’s population, and 10% of Germany’s vegan population overall – according to vegetarian association Vebu. Animal product-free versions of anything can be found in almost every business in Germany’s largest city, from butchers’ shops to singles nights. Germany and especially Berlin are at the forefront of a vegan movement that’s advancing all over Europe, says Vebu vice-president Sebastian Joy. That’s obvious from the roughly 60 vegan restaurants on offer in the German capital according to the vegan website Happy Cow – far outstripping the 24 in Paris and 40 in London, both cities more than twice the size of Berlin. That figure has ballooned since 2008 when there were just three completely animal-free restaurants. There are also two up in Belfast. However, there are other vegan-friendly restaurants in Ireland, including Cornucopia, Staple Foods and The Happy Pear. The vegan movement has come a long way from its ‘wool socks and sandals’ origins, with veganism adopting a new aura of cool. “Being vegan is no longer an abstemious practice for a few fundamentalist animal-lovers, but part of hedonistic event culture,” says Munich broadsheet Sueddeutsche Zeitung. 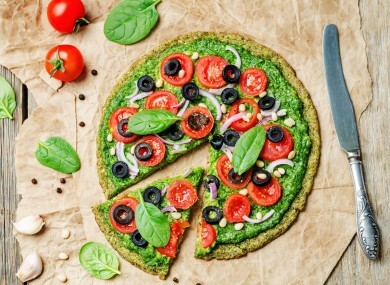 As well as the rise of pure veganism, there has also been an increase in ‘flexitarians’ – people who eat vegan some of the time as a way to eat more healthily or to care for the environment. Johannes Theuerl, the owner of a vegan butcher’s shop, believes that people are examining their eating habits more than ever before. People are asking more and more questions about where the food on their plate comes from. On offer at his counter are “meatballs” and slices of roast seitan, food based on wheat proteins. “Beyond reducing meat consumption, we see that people also want to eat seasonal and regional produce,” Theuerl went on. “I’ve had enough of the cliché about the activist who expects others to adopt the same lifestyle,” celebrity vegan chef Attila Hildmann told Deutschlandradiokultur. He complained that there was an “ideological wall” around veganism. But with veganism on the radar of Berlin’s entrepreneurs, foodies, and young followers of fashion, the movement has become more accessible. Vebu’s Joy believes it’s no longer a matter of being either strictly vegan or not vegan, but doing a little to help where you can. He picks a distinctly 21st-century analogy to drive his argument home. You can drive an electric car because you see the damage done by diesel without wanting to switch to a bike. With additional reporting from Elizabeth O’Malley. Email “Europe is seeing a growing interest in veganism, and Berlin is at the centre of it”. Feedback on “Europe is seeing a growing interest in veganism, and Berlin is at the centre of it”.